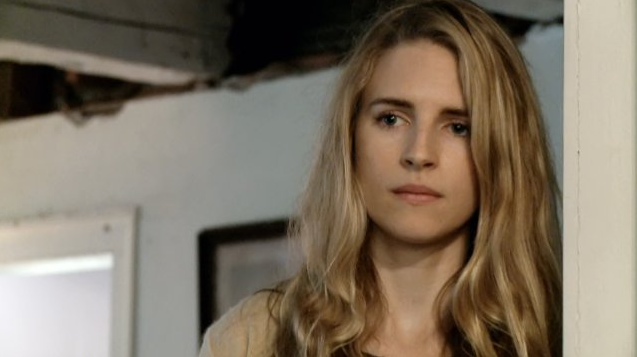 Dear Brit Marling: it’s about your hair. Brown hair, carefully coiffed, even a little dull. 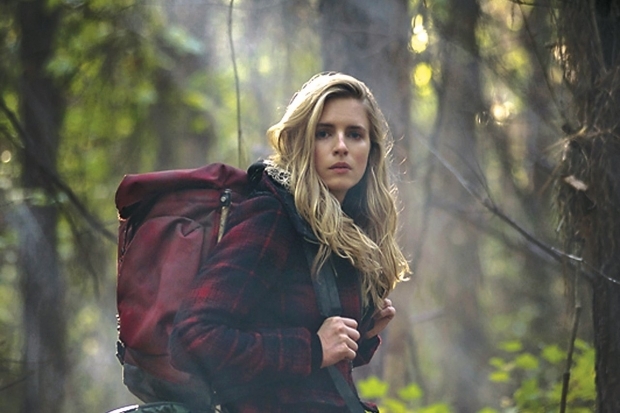 Jane (Marling) works for a slightly creepy company somewhat akin to Blackwater — and their latest mission is to get someone inside a new radical environmental protest organization called The East, which stages carefully-planned “jams” to punish the corporate leaders whose companies destroy the planet and ruin citizens’ health. If a CEO’s company has poisoned the ocean with an oil spill, for example, The East works a jam to dump oil into his house. When she’s chosen by her firm to infiltrate the group and expose them, Jane goes into her motel bathroom one night on her way into the underworld, and dyes her hair blonde using one of those dye kits from the drugstore. When she dries it, she looks at herself in the mirror and we have our first embarrassingly stupid scene in the film: she seems surprised by how good it looks. Why would a woman going undercover with a fringe group for months dye her hair? She’d only have to keep touching up the roots. This is a group that eats food out of garbage cans. They’re going to notice when the blonde grows out. I don’t think it’s very easy to dye brown hair blonde, but I might be wrong. There is no @#$%ing way on earth a home dye kit from the drugstore creates THAT head of hair. Look at that blonde! Indeed, we look at it throughout the film in numerous shots that show the gorgeous variety of colors in her hair. In short, Brit, your hair blew the plausibility of the film’s story. Brit, you are the most successful indie actor-writer I can think of right now. Your collaboration with Zal Batmanglij — he directs, you act, and together you write the screenplay — has produced three films now that have received wide distribution and critical attention. Hell, you get your indie films into comparatively mainstream theaters, for god’s sake (Another Earth, Sound of My Voice, and The East). Most of all, you feature great female leads and interesting stories that are always worth watching. When you come out next year with another film, I’ll be there to see it. But you have to get over your own hair. Yes. You have gorgeous hair. You will always have gorgeous hair. But you run the risk of being The Hair at this rate, and in The East your hair ruined the plausibility of your story. You have to act over your hair, not behind it … and you need to think seriously before allowing it a bigger starring role than you take yourself. Otherwise you’ll become a hack. Okay, maybe I have a hair obsession, what with my hair piece back in January and random comments dropped in on a semi-regular basis. But I’m right on this one, Brit. Stop it. I need you to keep making interesting films with female leads and unusual stories. 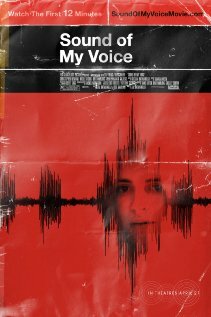 Sound of My Voice is riveting and well-acted but has such a thin, vague plot that by the end you walk out feeling ripped off. I can honestly say I watched every single scene with rapt attention; the three main characters are consistently watchable and believable; the dialogue is weird and feels true. But if the director got the trees right — almost every scene feels properly creepy and emotionally fraught — the forest turns out to be a disaster. Unlike last fall’s brilliant Martha Marcy May Marlene, which told a twisting tale about how a young woman became absorbed into a cult (and ultimately left it, and remained terrified by it), Sound of My Voice isn’t primarily interested in the scary psychological appeal of cults, the insidious means by which leaders draw their adherents in, or the fantastical raisons d’être offered by their charismatic leaders for the group’s existence and future. Rather, this film devolves to an “is she or isn’t she?” question. Whereas many small films opt for so much plot that you want to teach them that less is more, this film made me realize that sometimes, less is less. 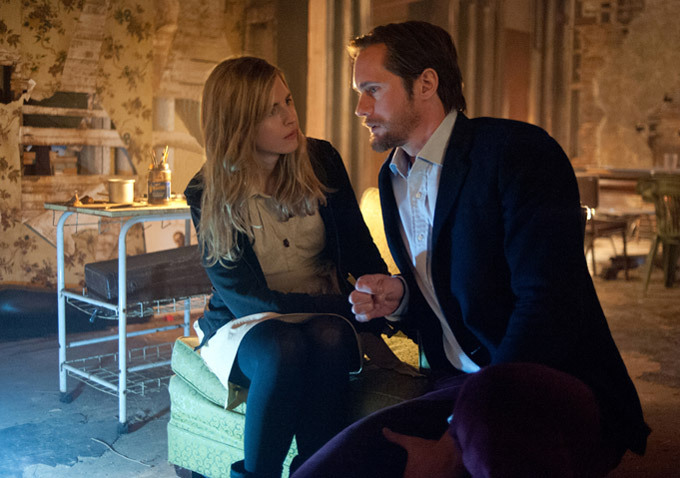 Peter (Christopher Denham) and Lorna (Nicole Vicius) are would-be documentary filmmakers who have made their way into a secretive cult oriented around a mysterious woman, Maggie (Brit Marling). Indeed, the film opens with an eminently creepy sequence of shots, wherein they are bound and blindfolded, stuffed into a van, and driven out to the cult’s secret location — where they are stripped of their street clothes, asked to shower and scrub themselves thoroughly, and dressed in hospital gowns before meeting Maggie. All of this is filmed so economically, and with such a fascinating combination of moodiness and dreariness to the sets, that you find yourself holding your breath, anticipating … what? A terrifying leader? That Peter and Lorna will be uncovered as frauds? Peter has hooked up a spy-cam to his glasses to film the proceedings — like when Maggie tells the new recruits her story about being a time traveler from the future. But as the film moves along, it focuses ever more intently on the question of whether Maggie really believes her own story or has ulterior motives. Those questions just aren’t good enough, nor are the plot twists unusual enough to keep us guessing. Directed by Zal Batmanglij, who also co-wrote the script with actor Marling, this film sustains your attention even through scenes that seem either odd (like when the germaphobic shut-in Maggie, who eats only foods grown in her own hydroponic growhouse, nevertheless opens a window and lights up a cigarette) or stereotyped (when one of the cult’s henchwomen whisks Lorna off to a woodsy area to teach her how to fire a gun — a scene we’ve seen in what, three or four recent films?). Not to mention my biggest disappointment: the filmmakers only used the “sound of my voice” theme sloppily, dropped in absent-mindedly, rather than plumbed for more. What is it about the voices of these cult leaders, their ability to put concepts together for their adherents, to insinuate themselves like earworms into the brains of eager followers? That’s interesting. This film doesn’t touch the topic, nor does it convince me that Maggie’s voice or sentences will haunt me later. If they could create a movie poster as vivid and enticing as this one, I argue, surely they could have spent more time on the script. As you can see, I walked out feeling frustrated — partly because the overall vision for this quasi-sci-fi film was ultimately so muddled by its emphasis on style and creepy anticipation; and partly because the final big plot twist makes the entire film look more like a 45-minute long X-Files episode rather than a smart, well-plotted full-length feature. So as much as I’d like to see writer/actor Marling as part of a new wave of women filmmakers, I’m going to table my enthusiasm for now … and at the risk of sounding bossy, suggest that she throw herself more completely into articulating a vision for a film before racing into production.